As we were finishing up dinner at Afghan Chopan, there were thoughts of ordering dessert. However, much like usual, we tossed around ideas of going to a place specifically for sweets. Bubble World in Guildford was considered; but that was way too common and normal. We wanted something different, exciting and adventurous... You know how curiosity killed the cat? I think we were tempting fate this time around. For the longest time, a few of us have seen this place on King George Hwy and 108th. Yes, it's in the heart of Whalley. That itself was not really troubling to me honestly. The area is in transition. However, the place does not really look like a dessert shop at all. Rather, it could easily pass as a tatoo parlour from the outside. Since the place is named Fireside House of Cheesecakes, it really is a bit confusing. With that in mind, we headed over there. When I pulled up, it appeared that this was no ordinary night. Apparently it was drag night and they had a schedule show. You see, Fireside has a small stage at the back just for times like these. Despite being a bit apprehensive, we thought what the heck, let's just see what's in store. Of course, we let Kim go first... So we all followed him into the place and we drew a lot of stares from the patrons. We, being 5 Asians, were not their typical customers. Undeterred, we walked up to the cheesecake display and proceeded to order. I went for my favourite, the Key Lime Cheesecake. 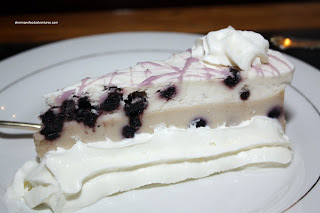 Jenny and R had the Blueberry Cheesecake while Kim opted for the classic NY Style Cheesecake. Miss Y did her thing again and went for brownie of all things. We all gave them a try and there was something familiar about the taste. Well, being that it was frozen also gave it away. 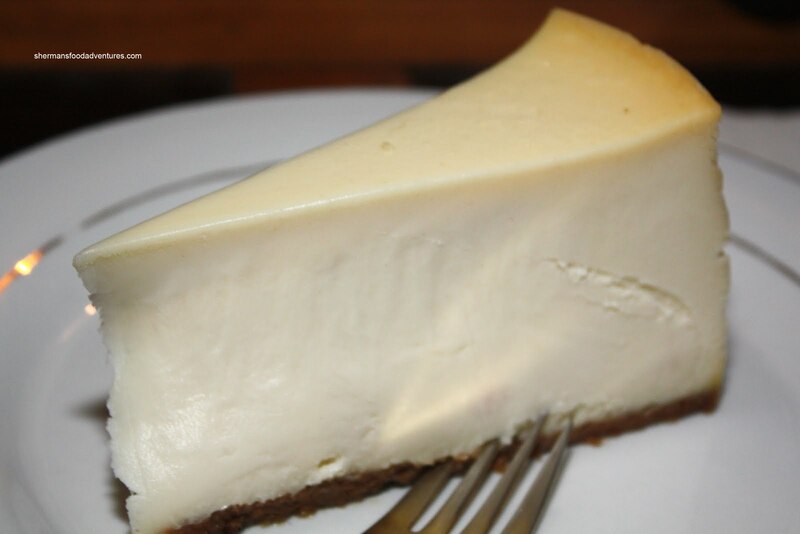 Yup, they don't make their own cheesecakes; rather, they get it from a supplier. I can't definitively say from where; but I have an idea. 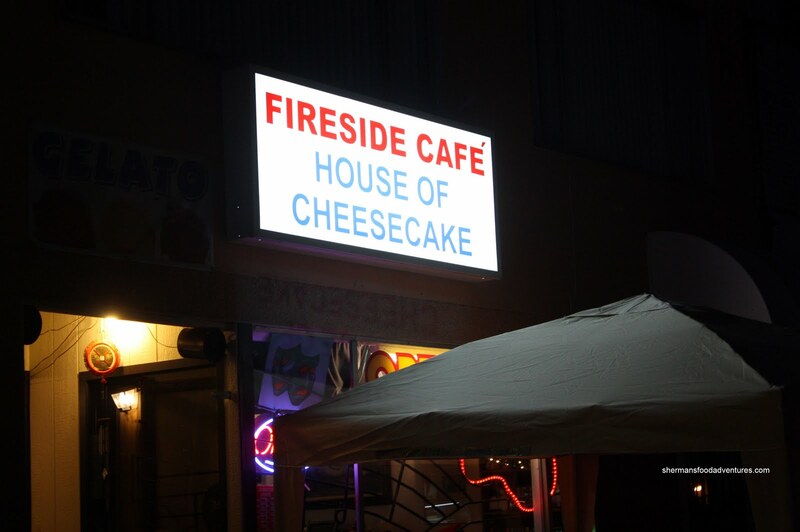 That is not necessarily a bad thing though because the cheesecakes were decent. As Kim remarked, they were textbook cheesecakes. 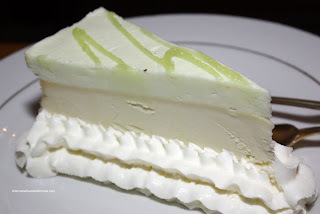 With that being said, the key lime was probably the best since it had a bit of tartness. The other 2, with the blueberry especially, lacked punch. But honestly, the cheesecakes were not the star of the show. Rather, it was the entertainment and the eclectic atmosphere. Although we stood out like sore thumbs, particularly when we pulled out our cameras with flash... We thoroughly enjoyed the rendition of Daydream Believer being performed on stage. I thought the experience was fun, and I am glad we went. So what's next (passing on the torch)?